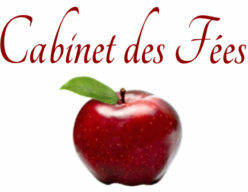 Since 2005, Cabinet des Fées has celebrated fairy tales in all of their manifestations: in print, in film, in academia, and on the web. so many promises left drying on beaches tarred with ships. stepping toward him easily out of the sea. Sonya Taaffe has a confirmed addiction to myth, folklore, and dead languages. Poems and short stories of hers have won the Rhysling Award, been shortlisted for the SLF Fountain Award and the Dwarf Stars Award, and been reprinted in The Year’s Best Fantasy and Horror, The Alchemy of Stars: Rhysling Award Winners Showcase, The Best of Not One of Us, Fantasy: The Best of the Year 2006, Best New Romantic Fantasy 2, and You Have Time for This: Contemporary American Short-Short Stories. A selection of her work can be found in Postcards from the Province of Hyphens and Singing Innocence and Experience (Prime Books). She holds master’s degrees in Classics from Brandeis and Yale. IMAGE: The Nautilus is my Boat, Warwick Goble, c1920.